Get access to HMO finance packages from leading UK lenders for developing new-build HMO units and refinancing existing units. Please read on to find various types of build-to-let and buy-to-let commercial properties that qualify for our HMO financing packages. A ‘House in Multiple Occupation’ (HMO) is a widely used commercial letting option that is increasing popular with property developers, property owners and tenants alike. As recent upheavals in the UK economy, along with reduced housing benefits, start impacting at the ground level, experts believe that HMOs will only continue to rise over the coming years. Therefore it’s naturally understandable that both landlords and property investors are interested in maximising the potential from this market sector, whilst equally playing their part in offering good quality and affordable housing to tenants. An HMO finance package is much-needed to help your new HMO development project materialise or to refinance your HMO project with a more affordable deal once refurbishment / conversion works have been completed. An HMO finance package is much-needed to help your new HMO development project materialise, or to refinance your HMO project with a more affordable source of long term finance once all refurbishment / conversion works have been completed. What is an HMO? Who Qualifies for an HMO Finance Package? With continued changes to HMO legislation and the ongoing tightening of the HMO licensing specifications both nationally and by local authorities, Landlords are finding that more and more HMOs are now requiring a license in which to operate legally. We work with numerous specialist HMO Lenders who offer finance to both licensed and unlicensed HMOs so long as the appropriate local amenity standards are adhered to and the premies are naturally operating lawfully. The new changes now mean that ALL HMOs requiring a license if they have 5 or more unrelated persons occupying the property, regardless of how many storeys the property contains. Private HMO finance is a popular option with HMO owners as getting a bank or a mainstream lender with ultra-conservative lending parameters to offer an HMO mortgage is rather difficult, since it is a very specialist product and one rarely understood by most mainstream lenders. HMO finance packages are typically used to develop commercial build-to-let HMO units from the ground-up. They are also used to refurbish existing HMO units in order to install the necessary fire protection systems or possibly add extra rooms etc. Additionally, a common reason for seeking specialist HMO Finance is to refinance some existing short-term sources of finance to provide a longer term source of finance &/or to save on high rates of interest. Whatever your particular requirements may be, you can count on us to find the best HMO lender for you so that your investment in an HMO project realises excellent returns for you. 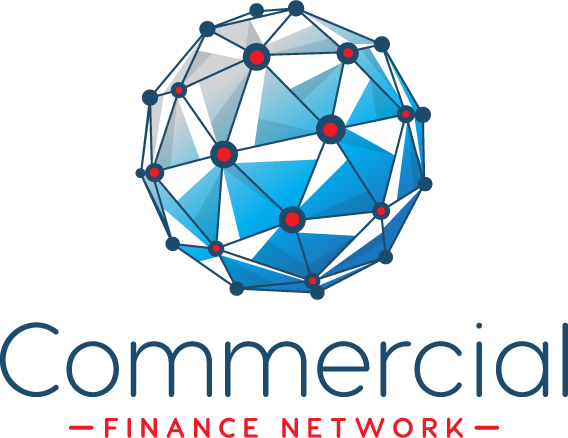 Commercial Finance Network was among the first specialist commercial brokers to realise the potential for growth of HMO housing. We are among the pioneers when it comes to designing HMO finance packages based on the potential of the project, so that borrowers can get the highest LTV in the market with low interest rates. We specialise in customising HMO finance packages based on your requirements. We work tirelessly to bring on board the best HMO lenders to finance your project, while also ensuring that the funds are released to you on an urgent basis. We’re a Whole of Market Broker, so able to offer an extensive range of HMO lenders. Efficient and prompt customer service is the cornerstone of our operations. Just like major banks, we coordinate our national operations with local representatives in your city. When you deal with Commercial Finance Network, you deal with real people who maintain a face-to-face working relationship with you, as opposed to most HMO mortgage brokers out there who prefer to stay ‘faceless’. HMO Financing Doesn’t Always Have to be a Compromise! Just because mainstream lenders tend to stay away from financing HMOs, you don’t have to settle for a deal that simply doesn’t work for you. Let our HMO mortgage experts find the best HMO loan solution for you – Get in touch with us today to speak with one of specialist HMO Mortgage Experts.